Many live their life as though it is forever here on earth,but it is a wake up call when they suddenly hear a close friend or loved one has died unexpectedly!Scripture teaches us just how precious life truly is and is as a vapor.We are to be wise to number our days(Psalm 90:4,12). 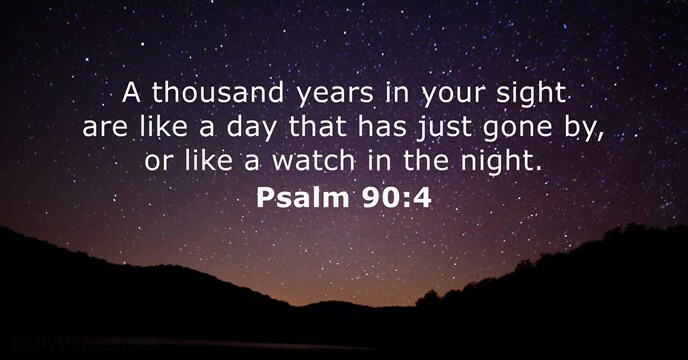 4 For a thousand years in thy sight are but as yesterday when it is past, and as a watch in the night. 12 So teach us to number our days, that we may apply our hearts unto wisdom. If we say we will do this or that at a later date it is considered frivolous,for not one of us is promised tomorrow.Only if it is the will of God do we continue another day! (James 4:13-15). 13 Go to now, ye that say, To day or to morrow we will go into such a city, and continue there a year, and buy and sell, and get gain:14 Whereas ye know not what shall be on the morrow. For what is your life? It is even a vapour, that appeareth for a little time, and then vanisheth away.15 For that ye ought to say, If the Lord will, we shall live, and do this, or that.